My boyfriend and I are starting our first tank together...me with 0 experience and him with a lot more than me, I don't want to talk too highly of him! We are both new to AA and are very impressed and thankful for the advice we already have recieved. Looking forward to sharing our tank progress (a baby 6g SW) with everyone and taking tips and pointers on the way! I'm in a similar boat. I also have no experience, but my hubby owned a tank when he was younger. Glad I'm not the only newbie here! What fish do you have/are you getting? Welcome. I'm new as well to the forum but have some experience in the hobby. 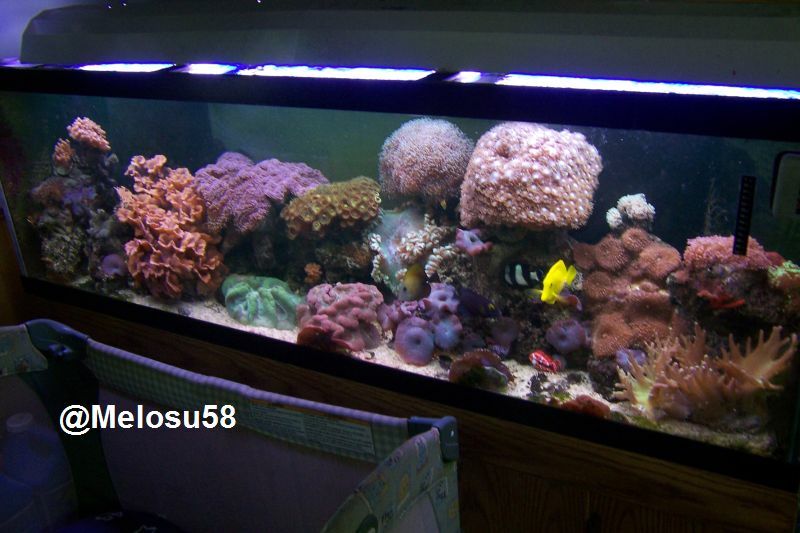 Given the size of you tank, look at mainly inverts and 1 fish (neon goby, perhaps?). Awesome! Thanks wabbitbugs...someone else mentioned a goby...will look into the neon ones. Would a royal gramma fish be ok or is the tank too small? I am looking forward to a colourful tank with lots of inverts. Will take time.